In the final installment of Unlocking Sounds, Italian producer Clap! Clap! conjures a celebratory reverie of the music of the world. As only the Black Acre artist could muster, Dig! Delve! Damn! (Dutch Archive Edition) is a whirlwind transnational journey that disintegrates borders to make damn clear that music is the one and only universal language and showcases how well versed he is in this language. Clap! 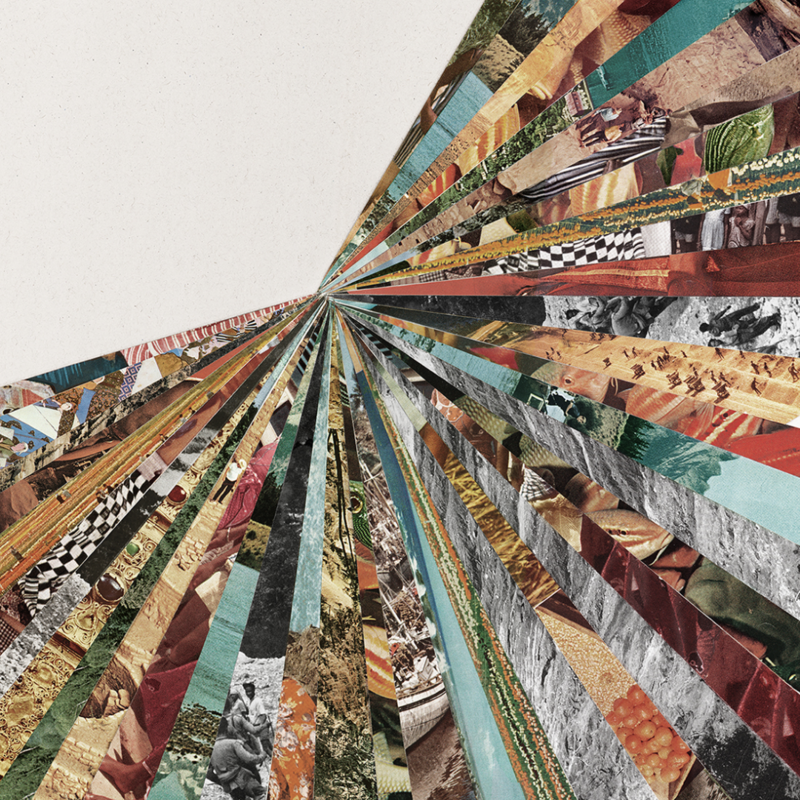 Clap!’s work has always been defined by imaginative incorporation of worldly sounds. He uses them to color fantastical folklore scripted and populate mystical worlds. 2014’s Tayi Bebba and 2017’s A Thousand Skies are dance floor equivalents of rock operas with their precisely sculpted structure and sound that make imagined sights and sounds palpable. But with Dig! Delve! Damn!, Clap! Clap! Does strips away the fiction and instead lets the real world source material take center stage, only nudging it along with his singular blend of hip hop, jazz, juke and footwork. The EP’s defining characteristic is the seamless blend of raw and stylized archival field recordings from Amsterdam’s Tropenmuseum audio collection – doing his utmost to respect the source by celebrating the sounds. 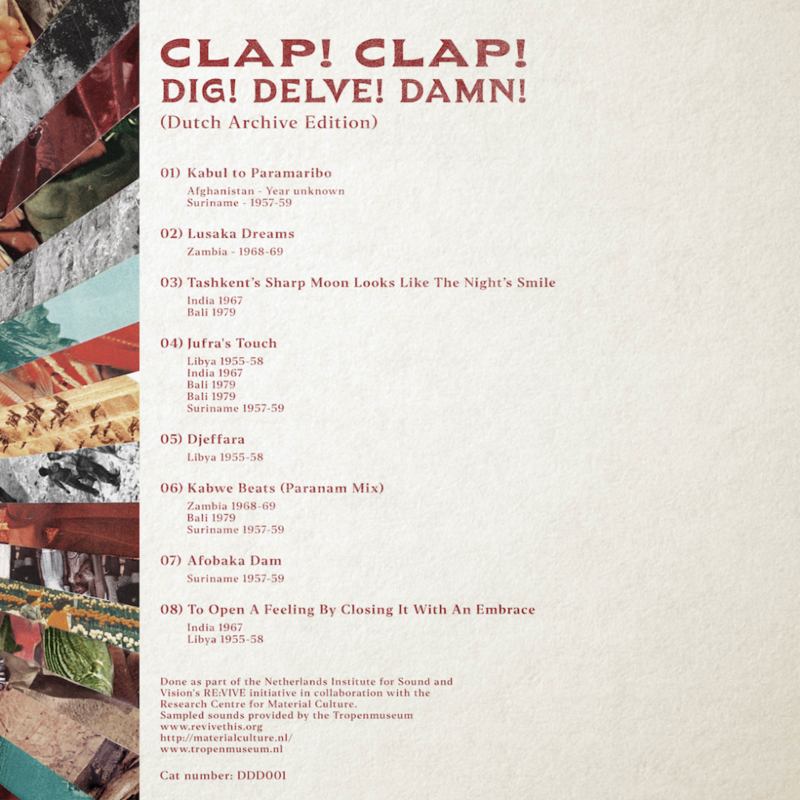 For instance EP opener “Kabul to Paramaribo” – a nod to Afghanistan and Surinam, sees Clap! Clap! ever so slightly transform a Tamboor melody into a swaying synth and the seamless embracement of a traditional Uzbekistani Shashmaqam on “Tashkent’s Sharp Moon Looks Like the Night’s Smile” that joyously bounces along. Embracing the diversity of the iconic collection, Clap! Clap! researched the origins of the sounds working to highlight the unique musicality of the different regions, “Since the beginning, I was very excited to delve in and explore the vast differences between those countries.” The results are a staggering array of moods and vibrancy – some as hot as the heart of Kabul or dreamy as a Surinamese rainforest. As part of this research, during Clap! Clap!’s visit to the Netherlands he conferred with award winning Dutch writer and academic, Dr. Mineke Schipper. Now 78, Schipper has spent her life traveling the world collecting stories, chronicling various folkloric expressions and tales. She found countless similarities of age old expressions from cultures who back then, could have never possibly shared knowledge. It’s a testament to humanity at its core, the basics that unite us and how we relate to them; things like water, the stars, the trees and the birds to love, loss, children and coming of age.